I found a great time capsule for those of you who enjoy the history of racing. There isn't much information about these mid 60's 8mm films other than they are credited as being shot by Heini Mader. 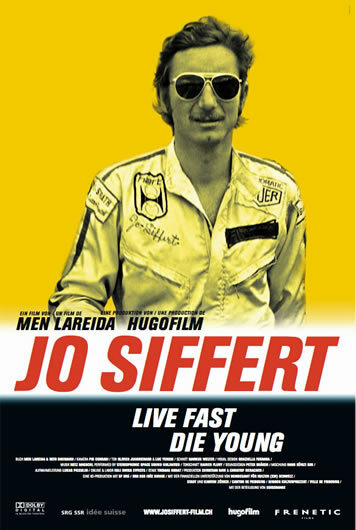 It's possible they might be an extra on the" Jo Siffert, live fast, die young" DVD. Heini Mader was a famous Swiss engine tuner who's career spanned 40 years. From the 1960's when he worked on Jo Siffert and Jo Bonnier's cars to the 80's when he worked on BMW and later Megatron turbos, through the 90's with F3000 and sports car engines to 2003 when he sold his company to Mechachrome. There are three clips and I'm guessing it's 1964 (Actually I know it's 1964 from the podium at the German GP...). You see everybody. Siffert of course, Bonnier. Dan Gurney chugging, what else, a Coke. John Surtees, Hill, Bandini, Ireland. Just the pictures of the Formula 1 Paddock are priceless. I think you'll enjoy the time travel! Thanks for the great films!